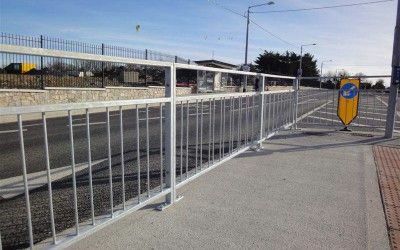 Protecting the public from trips, falls, vehicles and themselves is what the products in this range do; Pedestrian Barriers are made to International Accepted Road Engineering Designs and are standard products which prevent the pedestrian coming in contact with vehicles. 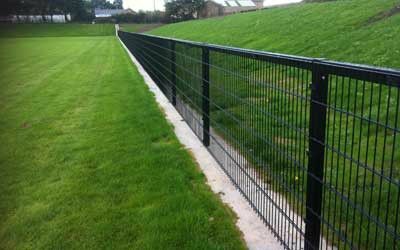 Other barriers are made on or off site to individual requirements. 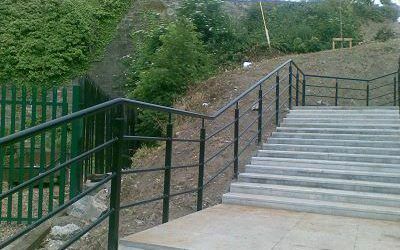 We also provide handrails including those certified for use for those with disability. We have a wide experience since 1973 of what will work in these areas and our sales staff in Dublin, Cork & Northern Ireland will be pleased to assist you. Pedestrian Guardrail conforming with Dept. of Transport Requirements. Designed to stop Pedestrian contact with Traffic. 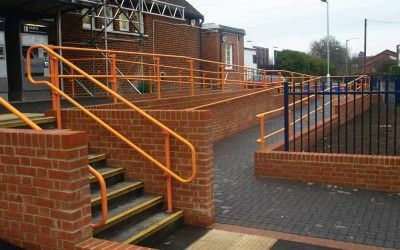 We can design,construct and install a barrier or guardrail to suit your streetscape or specific safety requirements.